The Guardian has today reported on the UK government’s support of the creation of the world’s biggest environmental sanctuary in the Antarctic Ocean. It comes ahead of a meeting taking place in Hobart, Australia, later this month where the nations that make up the Commission for the Conservation of Antarctic Marine Living Resources will vote on whether to create the reserve. If granted, the massive 1.8m sq km reserve – five times the size of Germany – would ban all fishing in a vast area of the Weddell Sea and parts of the Antarctic Peninsula, safeguarding species including penguins, killer whales, leopard seals and blue whales. Environment Secretary Michael Gove and Foreign Minister Sir Alan Duncan have both pledged strong support for the creation of the reserve, following the UK’s call last month for 30% of the world’s oceans to be designated as Marine Protected Areas by 2030. A Greenpeace campaign to support the proposals has also been backed by more than two million people around the world. The protection of our oceans requires global action, which is why we recently called for 30 per cent of the world’s oceans to be Marine Protected Areas by 2030. The Hobart meeting presents a brilliant opportunity for the international community to unite together to safeguard our marine habitats for future generations. 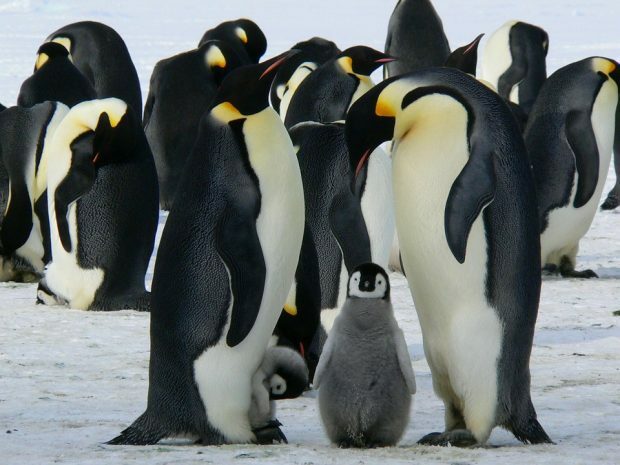 “I fully support the creation of an Antarctic Ocean Sanctuary in the Weddell Sea to ensure long-term protection for the precious wildlife that calls this area home.